impatient, impatient to end our parting. look at one another till hunger is forgotten. I look forward to the rest..
Only have three of the six but I’ll post what I have. There’s the gown in Poem 3. I'm a writer and an educator living in Izmir Province. 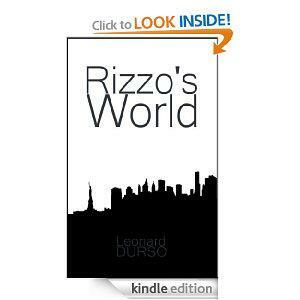 I currently have two books published by Austin Macauley Publishers (Istanbul Days, Istanbul Nights & Rizzo's World) in the UK and three others (Night & Day, Wooing Wu, and Harry) available through amazon.com as kindles. Another mystery novel was translated into Turkish available through a publisher in Turkey. That's me as the writer. Currently I work independently as a coach/consultant in Turkey. Before this, I was a coach/consultant for managers at Petkim Petrol/Chemical Company in Izmir. I've also been the director of English language programs at four different colleges: two in my native NY and two in Istanbul. That's me as the educator. I have two masters: an MFA in Creative Writing from Bowling Green University (why oh why oh why-o, did I ever go to Ohio?) and an MA in TESOL (Teaching English to Speakers of Other Languages) from Columbia University. And besides all that, I once managed a shoe store, a warehouse, owned a literary bookstore called Intellectuals & Liars in Santa Monica, CA, worked as a professional boy scout, wrote advertising copy for radio, did summer stock as an actor, clerked in a food co-op, was a busboy for a day at Ziggy's Kosher Restaurant, sold vacuum cleaners at Gimbels, was a green attendant at Cypress Hills Cemetery and so on. I get tired just thinking about it. Who says teaching is tough? Try leveling graves after a heavy rain. Or moving apples with spots. Now there's a challenge for you. And let's not forget how to Hoover.